Investors who use the cryptocurrency exchange Coinrail woke up Monday morning to some monumentally bad news. 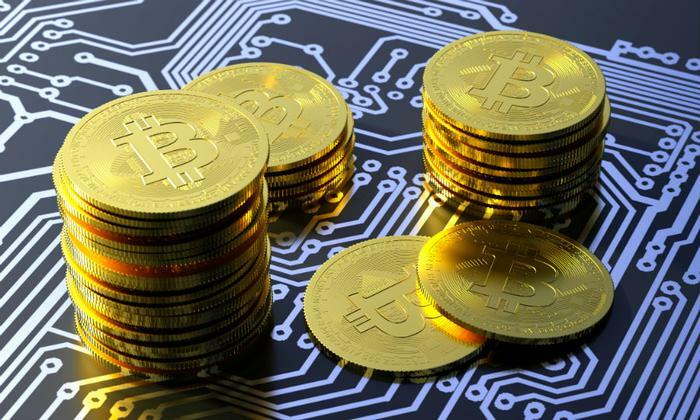 The platform announced that it suffered a data breach in which hackers stole 30 percent of its virtual currencies, forcing it to temporarily suspend trading while it works with investigators to determine what happened. The effect of the hack is up for debate. Some onlookers pinned cryptocurrency’s $42 billion weekend plummet on the Coinrail incursion. Still others blamed the hand-wringing over the Chinese government’s ban on crypto-related platforms. Another -- The Signal Expert -- tweeted "Will this impact the market price? It shouldn’t if everyone is aware of the facts. Coinrail ranks 88th in 24hr volume and has a weak reputation in Korea. The only impacts I see may be from govt. regulations and potentially using this as FUD (acronym for fear, uncertainty and doubt)." Justifiably, Coinrail wanted to go on the record with its interpretation of the hack. "The exact damage of the leaked coin / token is currently being confirmed, which may require some time to be taken with the coin," wrote Coinrail in an announcement on their website. "Also, please understand that all related matters are difficult to share all progress to exclude all possibilities that may interfere with the investigation due to investigation by police agencies." Coinrail was quick to point out that only three currencies were hit -- Fundus X (NPXS), Aston (ATX), and Enper (NPER): Freeze -- and that 70 percent of the company’s reserves are safe and have been moved to a cold wallet. Cold wallets are not connected to the internet, leaving them safe from an attack. When will the crypto madness end? Despite the Security and Exchange Commission’s (SEC) and other virtual currency players’ efforts, cryptocurrency seems far from finding its groove. In the last year alone, ConsumerAffairs has watched Bitcoin’s value soar past that of gold and suffer countless hacks, the outcries of banks, and Department of Justice (DOJ) investigations. However, the currency’s rollercoaster ride seems far from over. "In terms of cryptocurrencies, generally, I can say, almost with certainty, that they will come to a bad end," pontificated Warren Buffett in a CNBC interview. Charlie Munger, Buffett’s cohort at Berkshire Hathaway, was a little more blunt and compared cryptocurrencies to "turds." From a technology perspective, fellow billionaire club member Bill Gates softened his stance a tad. "There’s some really good technology in terms of sharing databases and verifying transactions," Gates remarked about cryptocurrency’s underlying blockchain technology. But, overall, he would bet against Bitcoin itself succeeding, equating it to the "greater fool theory" where the price of an object is determined by irrational beliefs and expectations of market participants rather than its intrinsic value.